Leicester City have upset the balance of everything. Like one of my Twitter followers (@gavinvcf) tweeted, “they have broken the system”. Their title win will bring up a lot of issues. Things are about to change, whether you agree or not. More managers will get fired. Patience will become a scarce commodity. Club chairmen are going to be more demanding. They will keep thinking: “Why can’t that be us?” “If Leicester City can do it, why not us?” It might sound ridiculous now, but a storm is coming. It’s ridiculous that Leicester City have won the Premier League; utterly ridiculous. There are no words to properly describe the feat. It’s an incredible achievement to go from relegation battlers to league winners in the space of 365 days; a once-in-a-lifetime kind of feat. We will probably never see something like this happen again in our lifetimes. The problem is that club chairmen, even fans, will not care much. A precedent has been set. 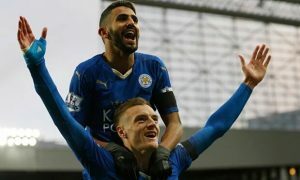 It might not occur to them yet that their expectations of their teams and managers have shot up following Leicester City’s win, but it will creep in at some point. Parallels have been drawn between this achievement and the achievements of Atletico Madrid, Blackburn Rovers or even Valencia in the early 2000s. The comparisons are valid, and there are many similarities, but the contexts are quite different. More than anything, none of them is this shocking. 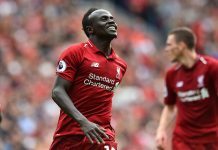 The closest to this feat in recent time would probably be Real Sociedad – a team that came from three consecutive 13th-place finishes to challenge for the 2002/2003 La Liga title – if they didn’t end up two points short of winning the title. Atletico went up against the Real Madrid – Barcelona duopoly and triumphed unexpectedly but theirs wasn’t this shocking especially because their squad consisted of a World Cup/Bronze Ball/Silver Boot Winner (David Villa), some near-elite players, and they were fairly-regular CL qualifiers. 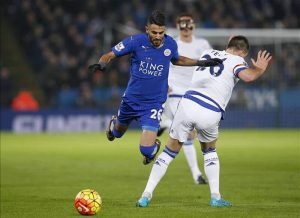 Leicester City’s stars were Riyad Mahrez and Jamie Vardy. You might see them differently now but try to remember what you thought of them before the season started. Yes, exactly! The effects of this title triumph might not be felt very strongly outside England. It will probably be seen as a remarkable feat, end of. But in England? The heat has been turned all the way up. PL money is big money. The small teams now earn a lot of money. Things are going mad out there. Minnows are now able to out-bid some CL teams from other countries for players and offer salaries twice as large as those teams can offer. Imagine the kind of managers heading to the PL next season too; the Peps, Contes and co. Now, Leicester City have gone and won the thing! With THAT squad! There are no shackles anymore. The ‘demanding’ will be through the roof. 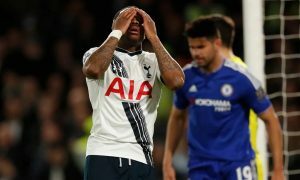 This has been a season in which Spurs looking likely to finish second with a predominantly young English core isn’t the story of the season. Hell, West Ham fighting for a CL spot with two games to go isn’t the story of the season either! The system is broken, the balance has been upset. Things may go *back to normal* next season but that will not happen without consequences. I predict that more managers will be fired next season than in any other PL season. The excuses that used to be accepted previously will no longer be acceptable. 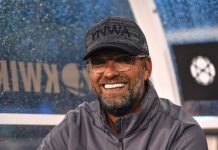 Every manager will simply be expected to deliver – maybe not the title but over-the-top feats – no excuses, especially if they spend good money in the transfer market. And many will. The spirit of Zamperini-Berlusconi is coming to the English Premier League. Best believe it. Overall, it has been an incredible premier league season, one that will be remembered for many things. Leicester, Spurs, West Ham, Kante, Dele Alli, Vardy, Payet, Ozil assists, Mahrez, Harry Kane, Chelsea, etc. And we will look back and laugh over a lot of things that have happened, except maybe Arsenal fans when they realise they still didn’t win it with all their usual rivals behind them and there is no FA Cup win this year to feel better about. 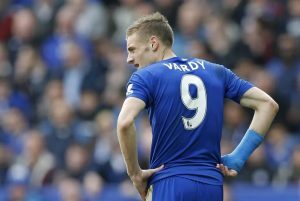 Leicester have done the impossible, and in doing it, have put pressure on everybody, including themselves. Next season will be madness. I certainly can’t wait. Next articleHas Pep Guardiola Been A Failure At Bayern Munich?